This course follows on from Permaculture Systems or for those who have studied permaculture elsewhere; it is an excellent follow on from the "Permaculture Design Certificate". It wil give you extra skills that are not covered in many other permaculture design courses that will enable you to design truly sustainable permaculture systems. Comprehensive planning including costing preparation. Alternative energy is energy that is not popularly used and is usually environmentally sound. The energy is derived from non-traditional, renewable sources (e.g. Solar, wind) as opposed to fossil fuels that are not renewable . Renewable sources can be readily replaced or replenished, either by the earth's natural processes or by human action. Fossil Fuels (i.e. Oil, Gas, and Coal). Nuclear Fuels (i.e. Uranium, Plutonium). A building should provide a pleasant, efficient and healthy environment for its occupants. Its primary purpose should be to protect from adverse conditions found outside; but in doing so, not lose the beneficial conditions found outside. If a building is properly planned and built well, these aims can be achieved. Learn about building materials, construction techniques, electrical wiring, temperature & light control, ventilation, plumbing, ergonomics and psychological factors; and how all of these things impact upon human health and wellbeing. This course helps to develop the skills needed to determine the impact of building construction characteristics upon human health, and to recommend innovations in building design to improve habitability. How healthy is you home and workplace environment? How do the choices you make about building construction and maintenance, impact on your health? Develops skills to evaluate, describe and explain how physical characteristics of a building and its surrounds have an impact upon the habitability of the building and human health. The course covers how weather systems and garden design influences the internal environment of a house, health aspects of different furnishings, paints, pesticides and chemicals (and alternatives), alternative methods of pest control, managing building surrounds and interior environments. Horticulture by Distance Learning - start your horticulture studies with this practical course. Identify, propagate, and care for 80 different types of plants. Understand the systematic way plants are classified. Identify the structure and parts of a flower. Use different methods to control weeds. Make propagating and potting mixes. Identify pest and disease problems. Draw a simple garden sketch plan. Plant or repair a lawn; and lots more. HAVE YOU EVER THOUGHT OF BUILDING YOUR OWN HOME? If you've thought of building a mud brick building, this course can be an excellent starting point. Its very practical, with some hands on work to get you started; helping you begin experimenting and planning ongoing projects, whether they are a modest garden wall, or more complex buildings. Save time by learning to do it right first time! Learn to test soil suitability for mud building, how to make a quality brick & how to test its strength. The course takes you step by step through the building process, showing how to plan a building, sorting through permits and other legalities, doing the site works & foundations, different construction techniques,laying bricks, frames & roofs, installing services, wall finishes and more. Be Part of the Organic Revolution! This course helps you to work with the environment, without the use of artificial fertilizers or sprays. This outstanding and extensive, globally-focused course develops a solid understanding of the principles and procedures underlying the cultivation of plants by natural methods. Organic growing has increased in popularity over the past ten years due to the increasing awareness of safety in the garden and on the farm and the desire to produce food that is free from chemical inputs. For decades, farmers and growers have relied upon chemicals to control pests and diseases in order to produce crops for sale. Unfortunately, it is only recently that we have become aware that many of those chemicals can sometimes cause health problems to humans, as well as long-term damage to the environment such as soil degradation, imbalances in pest-predator populations can also sometimes occur. As public concerns grow, these issues are becoming increasingly important. However, the organic grower or gardener should understand that not all organic practices always guarantee a healthy environment. Over-cultivation, for example, can also lead to soil damage. Organic growing practices should aim to ensure quality of both the environment in which we live and of the produce we grow in our gardens and on our farms. Understand the concepts and ethics of permaculture with this introductory course to permaculture. "This course was a valuable learning experience. My workplace is slowly changing to a 'greener' approach to managing every aspect of their parks, flowerbeds & trees. I'm trying to learn and find new ways to go 'greener' in the landscape as are many other individuals working in municipalities in Ontario. Your course provided me with a basic foundation to start and I'm looking forward to the rest of the Permaculture course. Feedback was very specific and easy to follow." Bernice Radtke, Canada - Permaculture I course. With further study after this course, you can also obtain the Permaculture Design Certificate. Gain a deeper understanding of the permaculture system, the environment and plants. "Gain a more indepth knowledge of plant use in permaculture"
This course is a natural progression from Permaculture 1, but can taken separately in its own right. It concentrates on the plants in a permaculture system, how they relate to each other and to the surrounding environment; and selection and placement of different varieties within a permaculture design. This course deals with preparing plans for different types of permaculture systems. It's duration is approximately 100 hours. If you satisfactorily complete all of the following courses - Permaculture I, II, III and IV. You will be awarded a Permaculture Design Certificate, recognised by the Permaculture Institute. We also offer a Permaculture Systems course and a Certificate in Horticulture (Permaculture),which lead to the the above certificate. "Learn the relationship between animals and permaculture systems"
If you satisfactorily complete all of the following courses - Permaculture I, II, III and IV. You will be awarded a Permaculture Design Certificate, recognised by the Permaculture Institute. "Learn to design and manage a comprehensive permaculture system"
We also offer a Permaculture Systems course and a Certificate in Horticulture (Permaculture),which lead to the above certificate. A permaculture system is a unique landscape where all the plants and animals live in balance in a self sustaining ecosystem. Permaculture has an ethical approach to designing land use and community systems, to provide food, ecological habitats and other essentials needed for human survival. Learning to develop plans for permaculture systems (i.e. a unique landscape where plants and animals live in a balanced and self sustaining ecosystem) is a crucial part of the permaculture process. Study this course to learn about the different growing methods which underpin permaculture, natural systems which constitute ecology i.e. the relationships between water, soils, plants and animals, zonal planning in permaculture systems and how plants, animals, fish and other components fit in. Completion of the course can be used towards a permaculture design certificate. for better physical, mental and even financial wellbeing. Discover opportunities in one of the fastest developing areas of agriculture. ACS Student comment: "So far I have found the course very thorough and extremely informative. I enjoy the assignment questions and reading the course material. 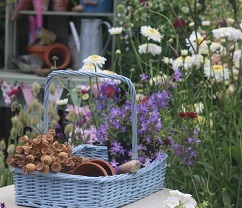 Having glanced ahead at the future lessons I can easily see I am going to cover all the important aspects of Horticulture before starting the Permacutlure half of my course." Dale Rider, USA, Certificate in Horticulture (Permaculture) course. After satisfactory completion of this course, you will be awarded a Permaculture Design Certificate, recognised by the Permaculture Institute. If you are passionate about the changes that permaculture can bring for the future and want to spread the word by teaching, training and consulting, this is the course to your dreams. Learn about permaculture, how to operate as a consultant, with a large variety of electives such as organic agriculture and farming; sustainable agriculture, alternative energy; nut and fruit production and more. Permaculture is a growing movement worldwide that revolutionises the way we manage the environment around us to maximise the use of energy to increase food production and environmental health. Permaculture courses are in demand as are skilled consultants. This is a great course for those already practicing permaculture and wanting to take the next step and those just wanting to start out and learn more. Live the good life. Study self sufficiency and specialise in fruit growing. Learn more about growing fruits in a temperate climate, berry production and more. Study in the comfort of your own home with support from our excellent tutors. Start the course at any time to suit you. A specialist qualification in self-sufficiency and vegetable growing. Learn more about becoming self-sufficient and producing vegetables for your own consumption or for sale. Study six 100 hour modules - Crops I, Commercial Vegetable Production, Commerical Organic Vegetable Production, Home Vegetable Growing and Self Sufficiency I and II. A distance learning course in Permaculture. Become a permaculture expert and learn more about permaculture, self-suffiency and organic farming. You can also choose to learn more about alternative energy, aquaponics or aquaculture. Upon successful completion of the Permaculture Systems module, you will receive the Permaculture Design Certificate (PDC). Study self sufficiency online with this extensive course. There are ten 100 hour modules that look at a wide range of topics relating to self sufficiency. Study topics as diverse as goat husbandry to berry production. An interesting and informative course. Convert Your Property for Sustainable Living off the grid! Understand more about permaculture by studying theory and also undertaking a practical project or work experience. Study three 100 hour modules, consisting of two core modules - Permaculture Systems and Advanced Permaculture. Then choose one elective module and undertake work based research or practice. Self-sufficiency is the idea of sustainable living, where the person consumes only that which they produce. Examples of self-sufficiency can include simple living, smallholding, the back to the land movement, “off the grid” living and so on. It is also linked to permaculture, sustainable agriculture, renewable energy and so on. This 500 hour course enables you to develop your skills in self-sufficiency. Learn to live a self-sufficient and sustainable life. This 500 hour course is studied by distance learning and consists of three 100 hour modules and a 200 hour industry project/work experience. Aquaponics is a useful skill to have when planning to do, or already, living in a self sufficient way. This distance learning course provides a detailed insight into self-sufficiency and aquaponics. Study three 100 hour modules and complete a project to complete this thorough qualification. 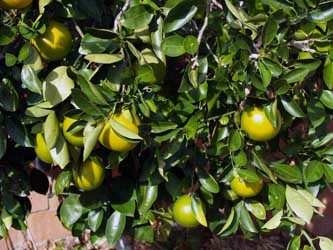 Become a self sufficiency AND fruit growing expert. Experience the joy of producing your own fruit. Learn more about the techniques involved in self sufficiency and home fruit growing with this 500 hour course. A must for anyone seeking the good life. Hydroponics is the growing of plants without soil or in an aquatic environment. This course provides you with detailed knowledge of hydroponics and self-sufficiency. Learn more about living a self-sufficient life making use of hydroponic knowledge and skills. A 500 hour course consisting of Self Sufficiency I and II, Hydroponics and a research/workbased project. Would you like to be more self-suffient? Would you like to live the good life? This course enables you to study by distance learning and learn more about self-sufficiency and berry production. Suitable for anyone wanting to live a simpler and more self-sufficient life. The course requires around 500 hours of study. There are three 100 hour courses made up of Self-Sufficiency I, II and Berry Production. Then complete a 200 hour project looking more at a topic of interest to you. More and more people want to become more self-sufficient today. Living a simpler and calmer life can be rewarding physically and mentally. With this 500 hour course, you can learn more about the joys of self-sufficiency and viticulture. Produce your own crops and wine. Study by distance learning and work through the course supported by our excellent tutors. Study three 100 hour modules in Self Sufficiency I and II, and Viticulture. Then complete a 200 hour project on a topic of interest to you. A great course to study, whether you want to be entirely self-sufficient or want to include some aspects of self-sufficiency in your life. Agriculture has seen massive changes in most developed countries over recent decades due to changes in global economics, technology and environmental concerns. This course provides an foundation for dealing with those changes, whether on your own farm, or in a broader sense. This course has two main core modules: sustainable agriculture and organic farming, the remaining four modules can be selected from a further 16 modules making this course highly customisable. “This is a certificate level course that provides the skills to earn extra income as a consultant in this field. Be self-sufficient and earn money too.” - Adriana Fraser Cert.Hort., Cert.Child Care, Adv.Cert.App.Mgt., Cert 1V Assessment and Training, Adv.Dip.Hort., ACS Tutor. simple home medical care and first aid, and lots more.